MORE than £1million of vital government support for voluntary and community groups to help people with complex health and social care issues has been lost following delays by the Department of Health in setting up a new fund. Under the Department of Health’s new Health and Social Care Innovation Fund around £1million was to be made available to organisations in the 2016/17 financial year, £2million in 2017/18 and £4million per year from 2018/19. According to the department the new fund was to replace the existing core grant scheme, which provides millions of pounds annually to 65 voluntary and community organisations and is due to be phased out by March 2018. Since November The Detail has been raising questions over problems in delivering the new fund. Today we again contacted the department about a leaked letter written by the minister days before Christmas which informed groups that delays meant the £1m earmarked for 2016/17 was no longer available. But in a surprise move the Sinn Féin Health Minister Michelle O'Neill today announced she did not intend to further reduce the level of core grant funding in a bid to ease the burden on community groups. A department statement said: "The minister now intends to establish a new core grant scheme with an innovative component." It added: "In the interim, until those proposals are fully developed the minister does not intend to further reduce the level of core grant funding provided under the existing scheme until the new core grant scheme is up and running." The core grant benefits 65 groups, however, the planned Health and Social Care Innovation Fund was to be open to all groups across the sector. The minister today said she wanted to avoid a funding shortfall and said: "I have decided to do that by way of providing organisations with funding to support their core functions." The u-turn on the planned cuts follows months of discussions that the department held with groups who were warning that delays in the £1m replacement fund, coupled with further cuts to the core grant, threatened to undermine their work. The new fund was to tackle issues including drug and alcohol abuse, obesity, sexual health, elderly social isolation and mental health. 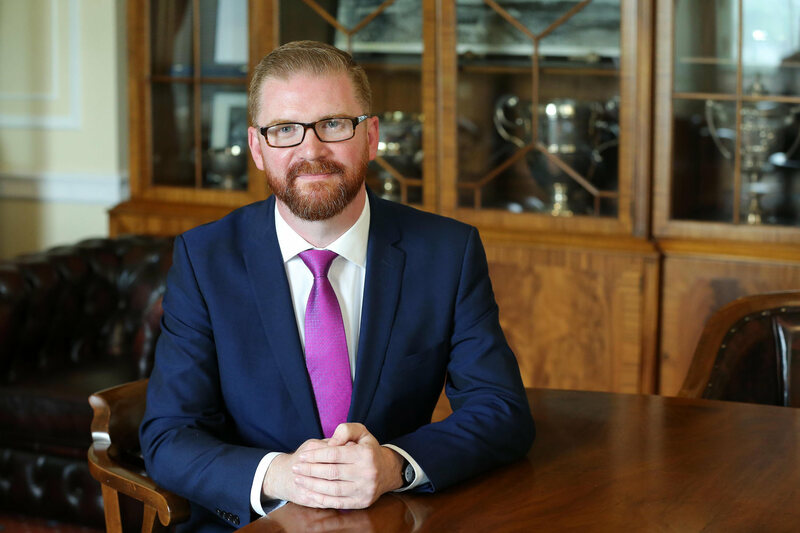 In the letter to voluntary sector representatives, obtained by The Detail, Minister O’Neill confirmed that the new Health and Social Care Innovation Scheme – announced 18 months ago by her DUP predecessor Simon Hamilton - would not open in 2016/17 as originally planned. In the correspondence she informed the voluntary sector that the £1m funding earmarked for this year was lost as it cannot be carried forward. The sector had seen this as a severe blow to voluntary and community organisations whose budgets have already been cut by around 25% and were facing a further 25% in 2017/18 as a result of the move to phase out the core grant scheme next year. In the letter the minister said she was aware that it had been anticipated that the new scheme would be open by now. She continued: “It is unfortunate that we have been unable to achieve this in the current financial year. I know that you understand that our financial rules are such that uncommitted funding cannot be carried into the next financial year. The minister also stated that her officials were looking “outside the department for a scheme administrator, although I want you to know I have not made a final decision on this point”. She added: “While I accept the current core grant scheme was flawed...I am concerned that by closing it, we are potentially leaving a significant gap....I am continuing to consider how I might effectively bridge that gap”. The Detail has since made several requests for an updated comment and today raised the contents of the leaked letter. The department failed to comment on the letter but instead issued the minister's surprise announcement that the core grant funding for the voluntary and community sector was to continue. The move comes amid expectations that the Assembly will collapse on Monday as a result of a deepening political crisis and the resignation of Sinn Féin deputy first minister Martin McGuinness. October 2015: The Department of Health publishes information on pre-consultation events for the new Innovation Fund. The document states the Department is “introducing a new Innovation Fund from 2016/17” and “for the first year around £1m will be made available to innovative health and social care projects”. End October 2015/November 2015: Workshops get underway across Northern Ireland. They were attended by almost 200 voluntary, community and social enterprise representatives. December 2015: An EQIA (equality impact) screening for the Health and Social Care Innovation Scheme is completed. March 2016: Consultation on Health and Social Care Innovation Grant Scheme opens. The consultation document states that there will be a two stage application process – preliminary assessment followed by a decision panel. It states “it is envisaged this preliminary assessment could take up to four months from the time the application is received” and “three decision panel meetings will take place in each financial year”. November 2016: Department of Health and representatives of the voluntary and community sector met to discuss Innovation Fund. Department tells Detail Data it anticipates the fund will open in 2016/17. December 2016: Minister confirms the new Health and Social Care Innovation Scheme will not open in 2016/17 financial year and that the funding earmarked has been lost as it cannot be carried forward. January 13, 2016: Minister announces intention to establish a new core grant scheme with an "innovative component". It was unclear if that was to replace the long-planned Health and Social Care Innovation Fund.